Due to space limitations, not all pedigrees are hosted on this site. We are in the process of transitioning to a larger, ad-free site at www.shilohpedigrees.com. If you are unable to find the name you seek, you might want to try using the Lycos search tool above and search "Tripod," since other pedigrees are temporarily being hosted on other Tripod sites. 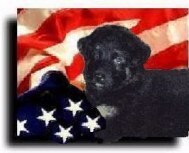 In addition, pedigrees are hosted on www.shilohpedigrees.com.